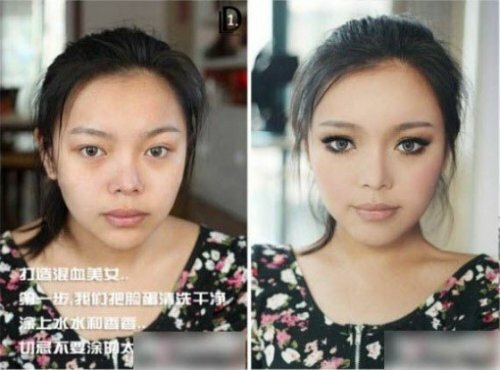 Used more than abundantly in traditional theatrical performances, makeup in China totally alters the appearance of women. 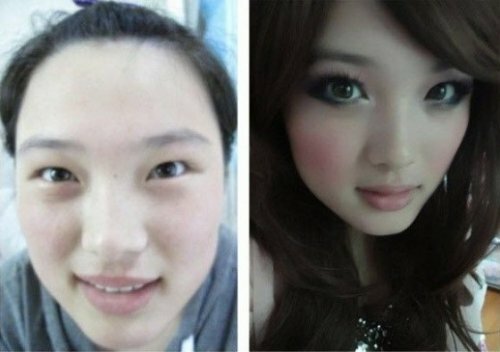 A video shows how transformation occurs ... 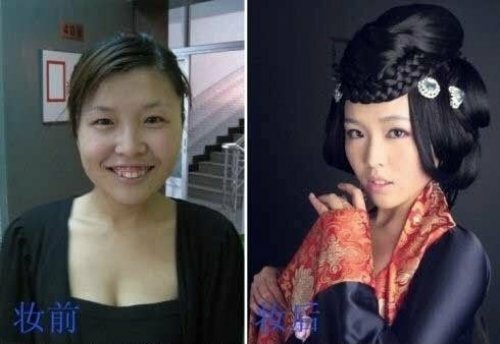 In this television show, the models have only half the face makeup, which is better to show how can change a face. 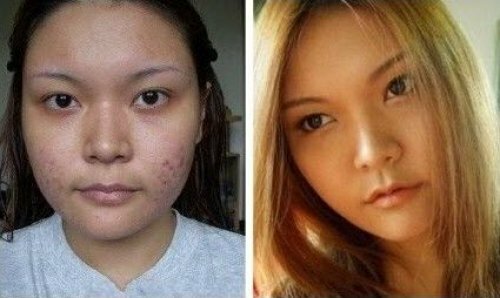 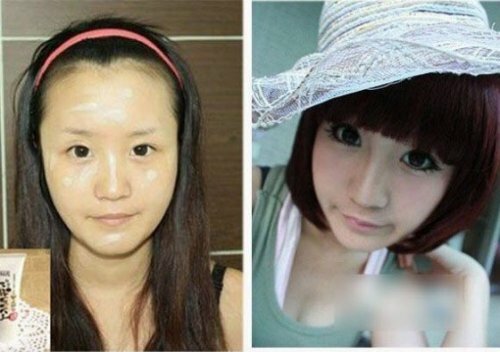 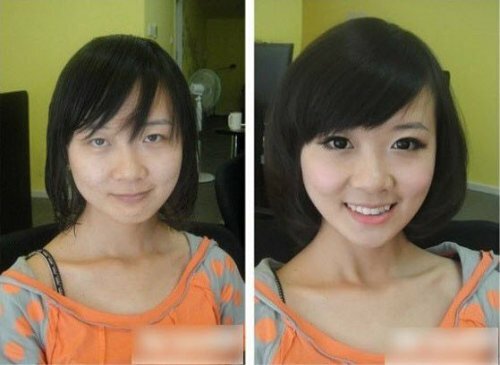 Now, here is a gallery of photos showing girls before and after the makeup session. 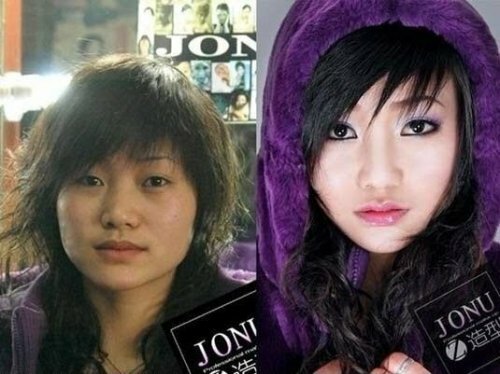 The previous video proves that there are no special effects or lighting effects, yet the result is amazing!